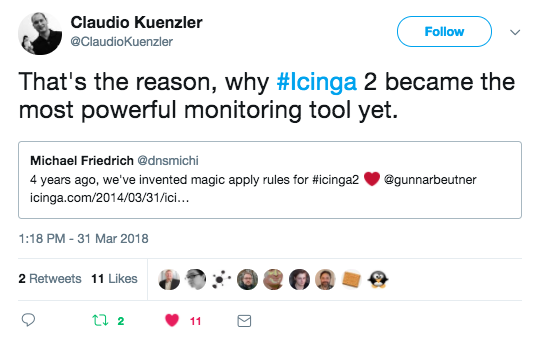 The official Puppet modules for Icinga 2 and Icinga Web 2 also gained more attention, and allow for automated monitoring deployments. Virender put a lot of effort into keeping up the pace with the Chef cookbooks while Assaf kicks off with Ansible roles and playbooks. There’s also work underway with Graylog integration, portions like the Icinga Web 2 module need sponsors fully bringing it into shape. A customer already funded the development for an alert output similar to Logstash. More updates here soon. Since our move to GitHub in early 2017, we’ve been learning and adopting our workflows to pull requests and reviews. More clear labels and issue templates help pave the way for better work on the issues. While troubleshooting crashes with the stack guard patch on RHEL kernels, we’ve had great support by the RedHat team. This is where opensource connects. We’ve also gone for full transparency and published an advisory covering all the problems in detail. Probably you wouldn’t expect that from an opensource project, but it tremendously helps to quickly react on problems for both users and partner customers. Learning from that, such breaking changes are covered for notification scripts and OpenSSL problems too. 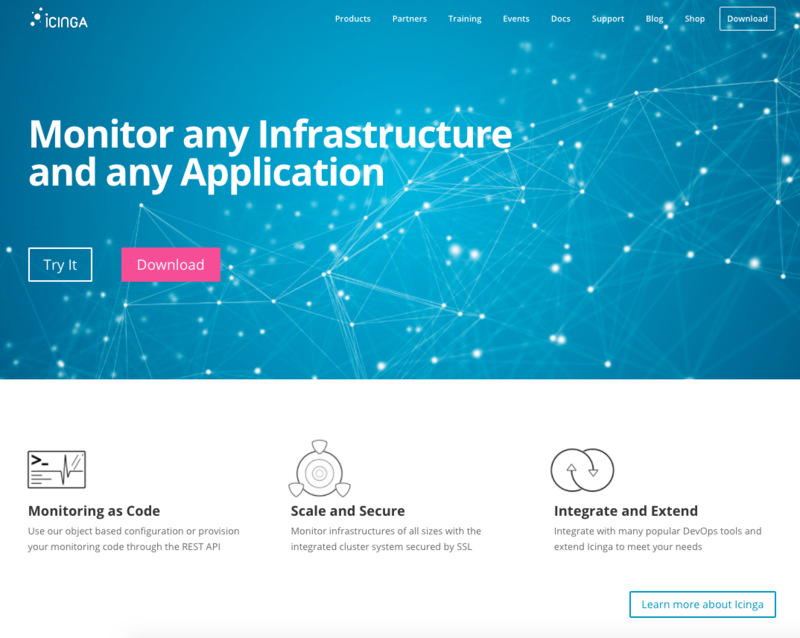 July brought us a new shiny website and the style was later adopted into the Icinga Web 2 v2.5 release too. Our online documentation is key to get things up and running, and so we’ve re-worked its layout and search. 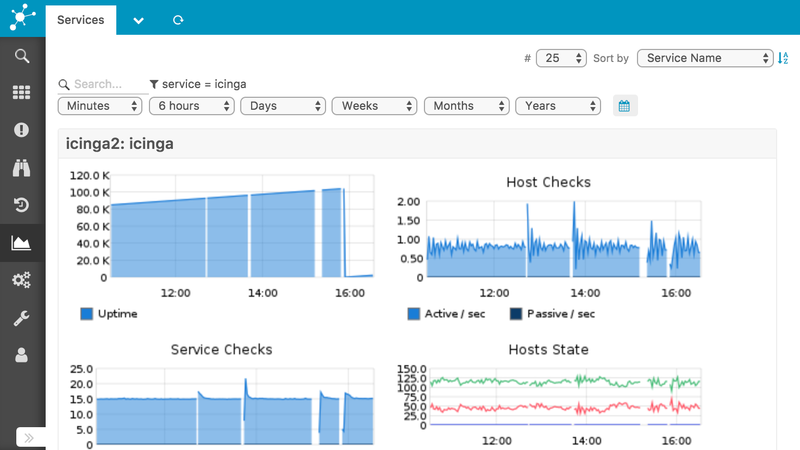 Speaking of Icinga Web 2, you’ll also recognise the collapsible menu, and many other enhancements all over the place. 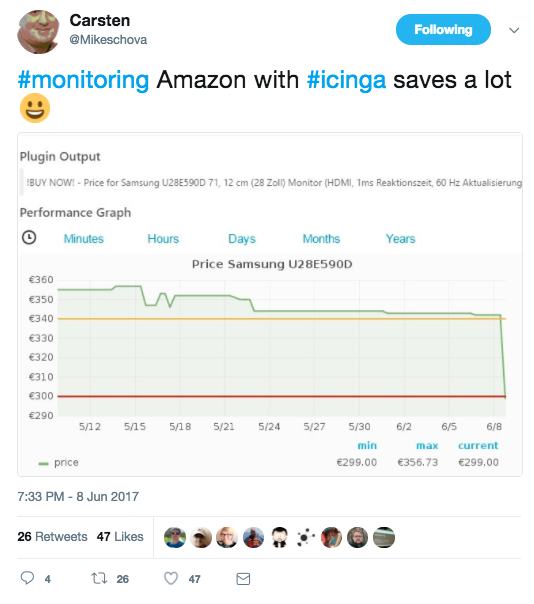 The modern look also was adopted into Icinga Exchange v2.0 allowing for the greater sharing of your plugins, themes and integrations. Johannes, Florian and Jennifer did an awesome job here. We’re closely working with our partners to establish services all around Icinga. This is a great possibility to help everyone who needs enterprise grade support, trainings and consulting services. 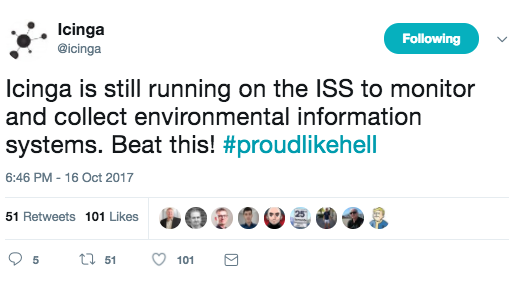 Especially funding the development of additional features or quick problem resolving with production fixes is a great benefit. 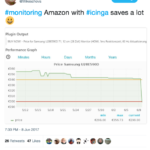 Sponsoring Icinga’s development is also key to keep the project going with innovation and future integrations. 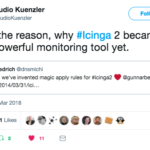 Kindly get in touch if you want to help speed things a little – Eric announced the roadmap for this year: a new backend, reporting, notification manager and Icinga mobile this year. These features require lots of design and development resources where we greatly appreciate sponsoring. 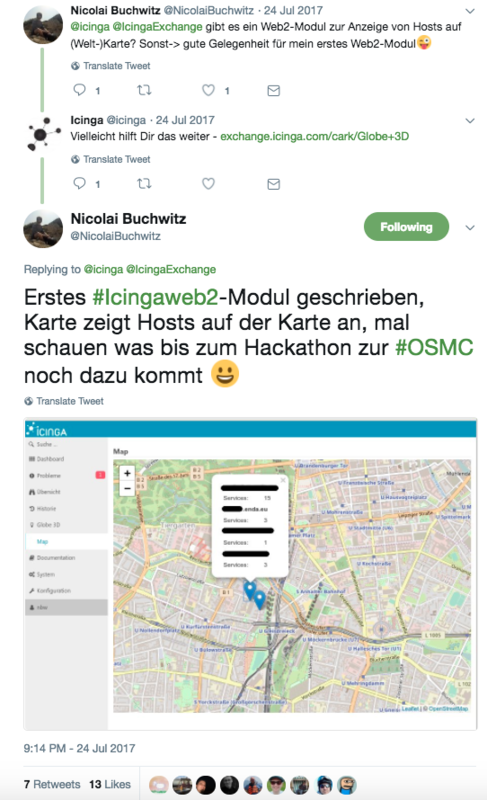 Have you been to an Icinga event like Icinga Camp Berlin, New York, or the OSMC? 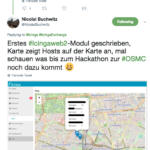 Even an Icinga meetup in your city like Zurich or soon Berlin? Get to talk to the people, enjoy ideas, laugh together, and grab a Guinness or G&T together later on. 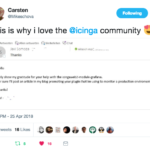 Icinga is not only a tool, Icinga unites people and sometimes becoming friends even. In your talks, you can literally feel the passion and love you spread for the things you’re doing. Marianne published an awesome article about the Icinga Director in the iX magazine, and is all in for spreading the #icingalove with articles and the great Nordlicht theme. Our fellow book writers Thomas and Lennart wrote and wrote so many hours on the Icinga 2 book v2.0 coming later this year. Send them some goodies for when they release the German version, and keep them motivated to work on an English version later. 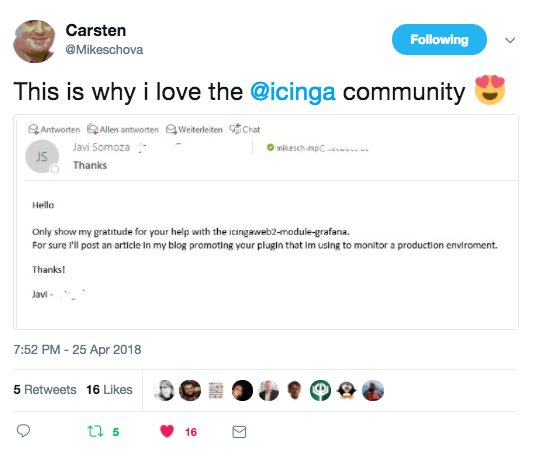 Icinga is used by many companies all over the world, and we need your voice to spread the love. German Telekom is using it with 500000 services, now you know that VW and CERN are doing so too. The full story of our 9th year is covered in our monthly snaps for May, June, July, August, September, October, November, December, January, February, March, April.